Designed by me, Astrid, in my Seattle studio. The first picture is of the item you will receive. The other pictures are examples of what my finished mirrors look like. Mirror is 2 and 3/4 inches size with silver-tone finish. Two mirrors inside-- one is regular, the other magnified. Push button to open and close and securely hinged. Ships in black velvet pouch gift bag. Front image protected by epoxy dome. 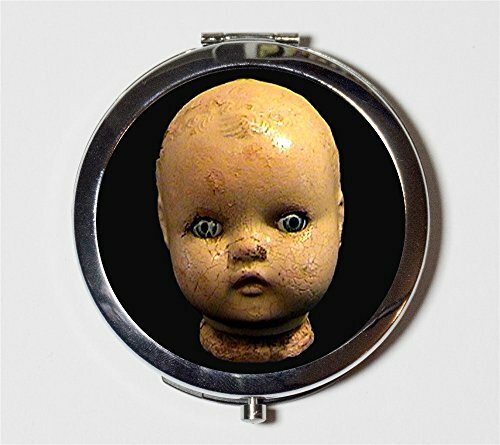 Please note this is not a real doll's head but an image of one.